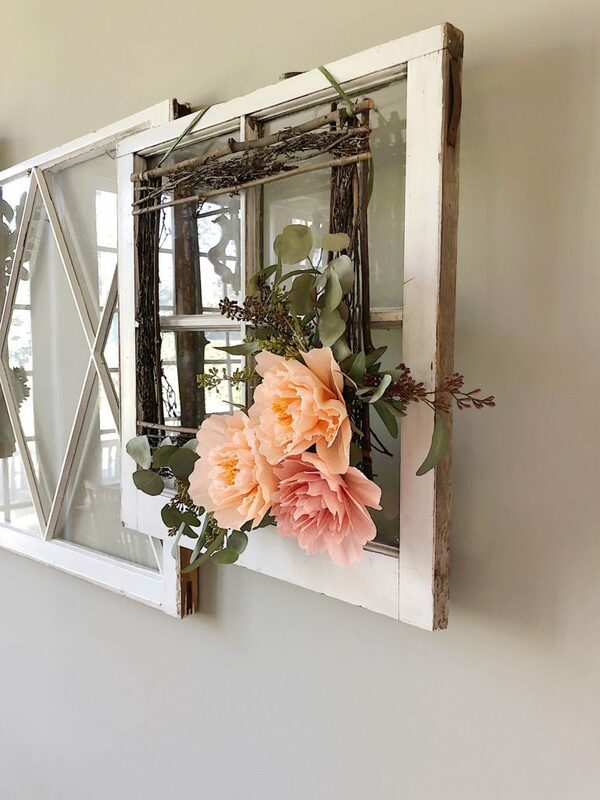 I have joined 27 other bloggers today to share spring wreath ideas as part of the Seasonal Simplicity Spring Series. 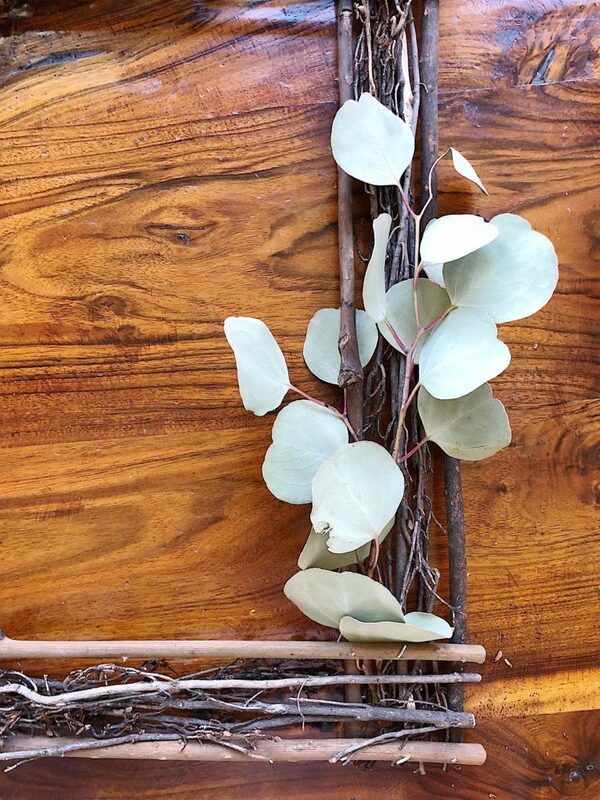 Krista from The Happy Housie put this blog series together and you need to check out her blog. It is amazing! I still can’t believe this many bloggers got together to share their wreath ideas. How cool is that! All of them are listed at the end of this post so be sure to click on your favorite photos for the DIY. 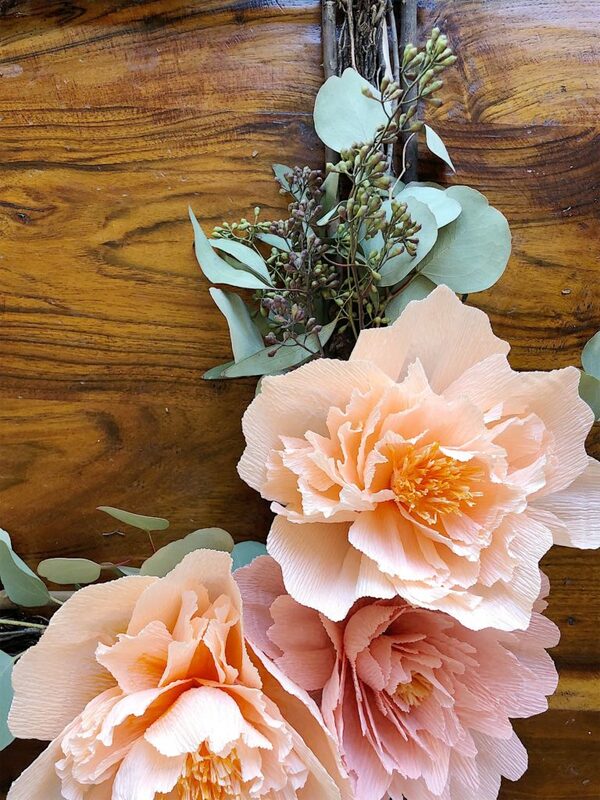 One of my favorite flowers are peonies and I thought it might be fun to try making a few for my wreath. I am happier than ever with how they turned out. 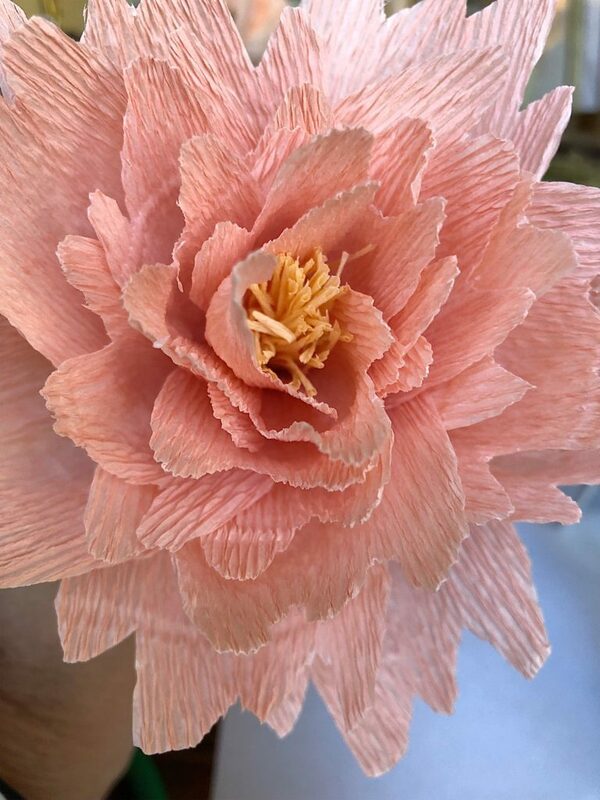 My “flower mentor” is a gal named Lia Griffith and I have learned so much by watching her wonderful flower making videos. 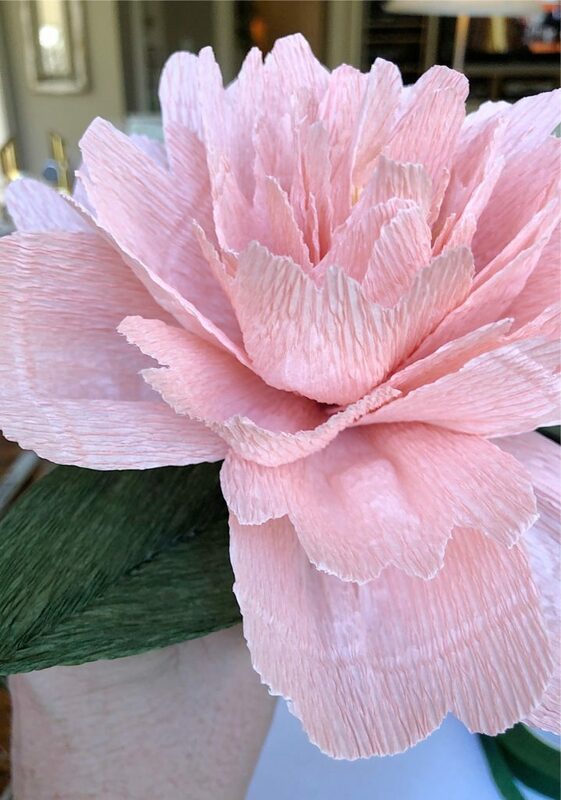 She also sells her flower making templates at JOANN, and I used this Peony template to make my flowers for this wreath. 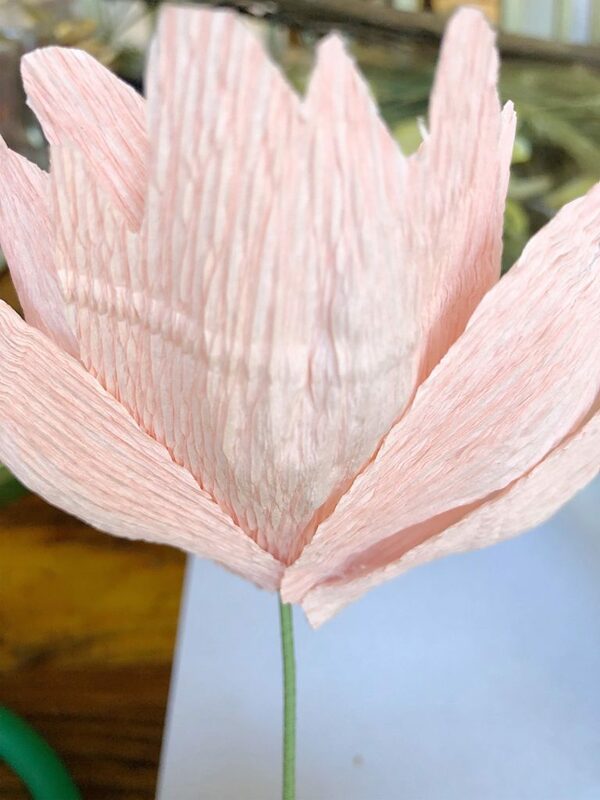 I cut the following numbers of petals – #4A – 10, #4D – 10, #4B – 6. I did not use the #4C petal at all as I didn’t think it was necessary. 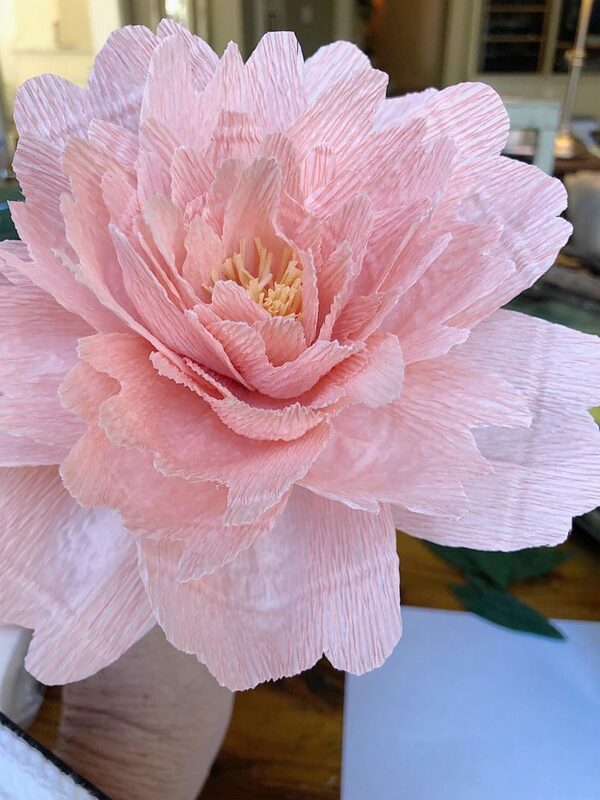 Read the flower making directions located on the backside of the insert in the Lia Griffith paper flower peony template. 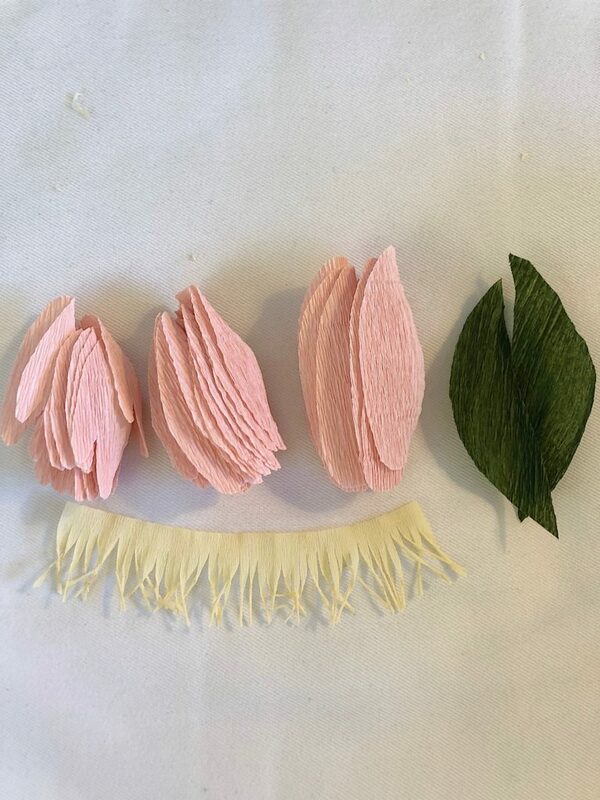 Cut out the flower pieces based on the quantities listed. 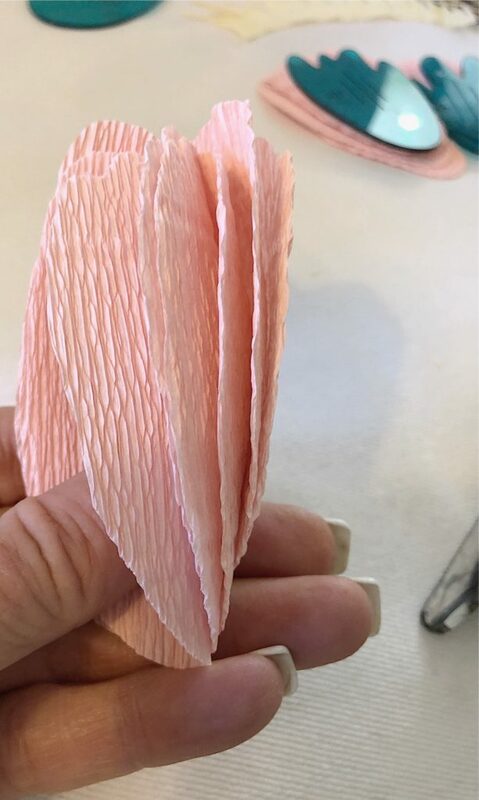 Be sure to follow the grain lines on the pattern with the grain lines on the crepe paper. *Please note that I made a few changes. Sorry but I can’t help myself! 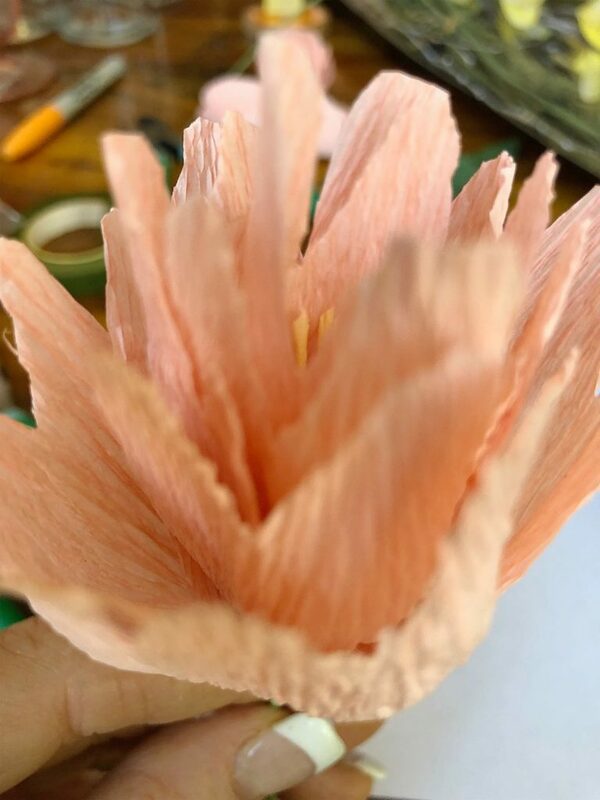 I cut these petal quantities: 4A – 10, 4D – 10, 4B – 6. I did not use 4C. 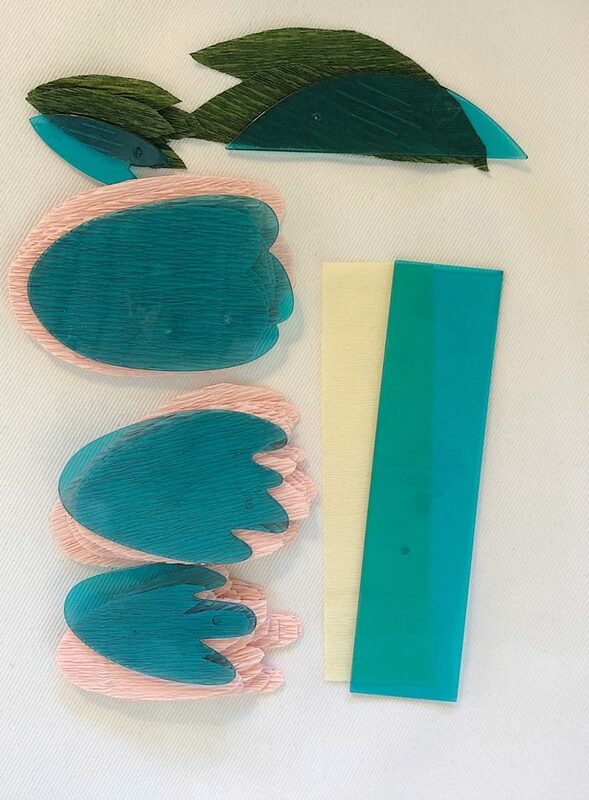 This is what the cut flower pieces look like. 3. Using pinking shears, cut along the top of one side of the pattern. 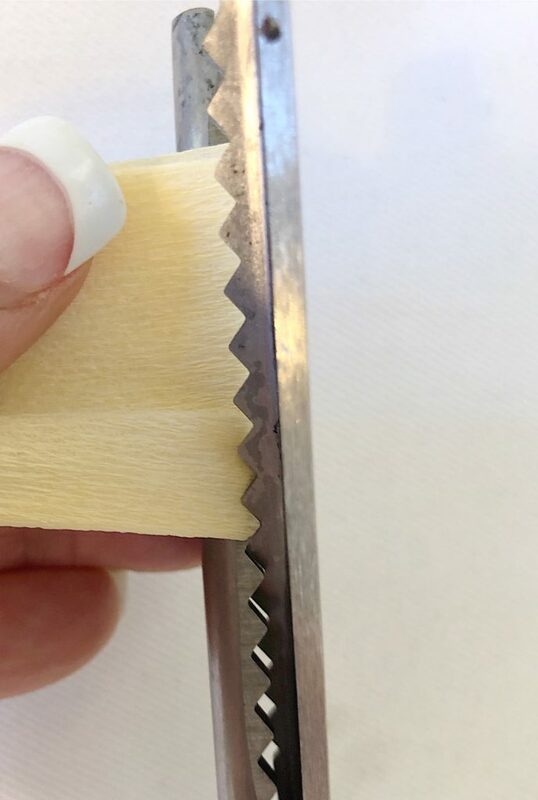 If you don’t have pinking shears use scissors to create the same effect. 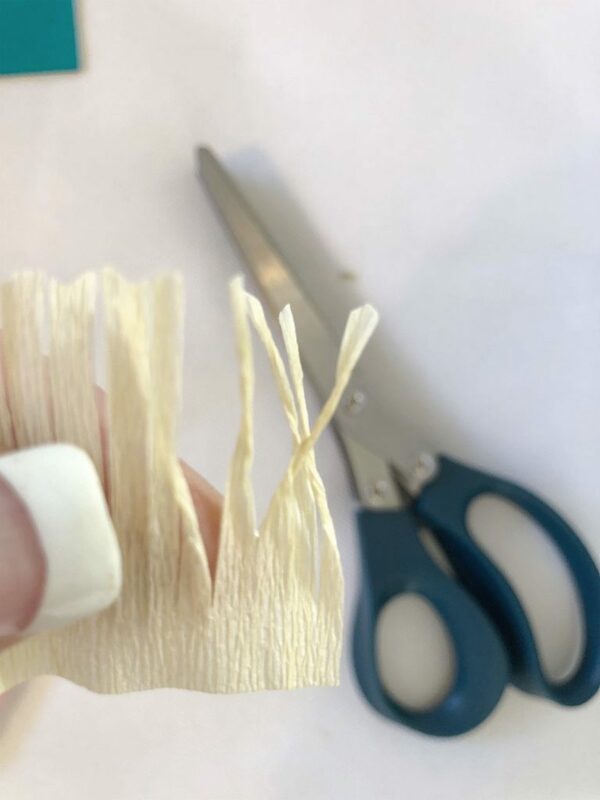 Use the Lia Griffith Fiskars fringe scissors to cut along the entire strip, leaving 1/2″ uncut at the bottom. 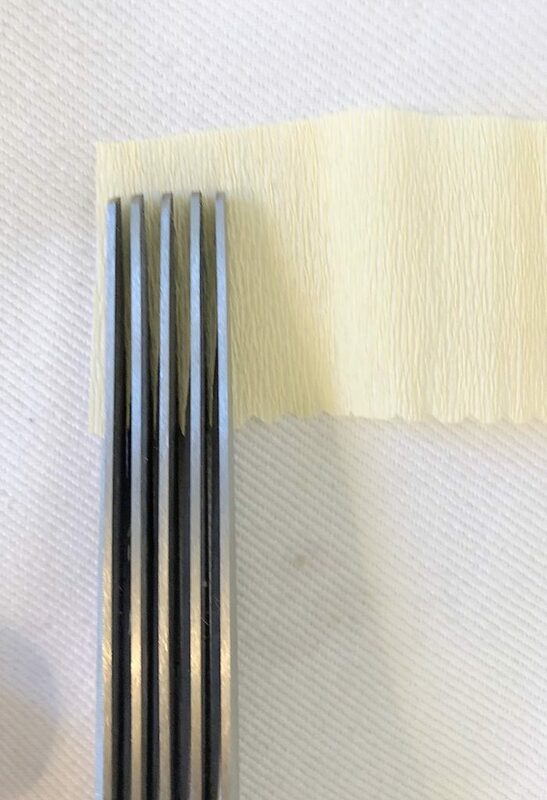 Twist each shred with your fingers. 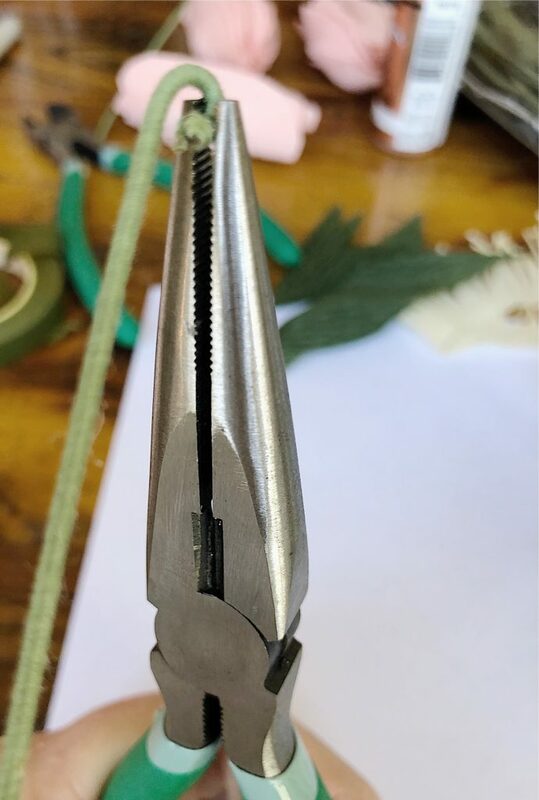 Bend over 1/4″ of the thicker 16 gauge stem wire. 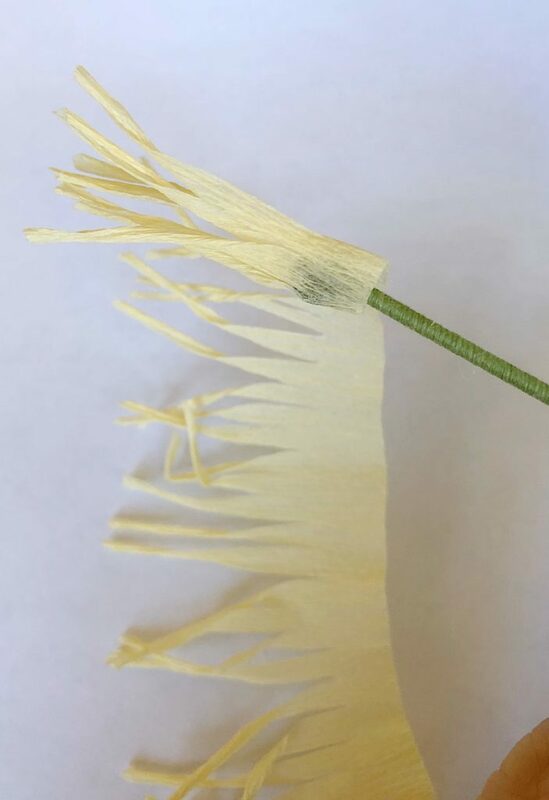 Add hot glue to the fringed paper along the entire bottom side and wrap the paper all the way around the wire. Next. 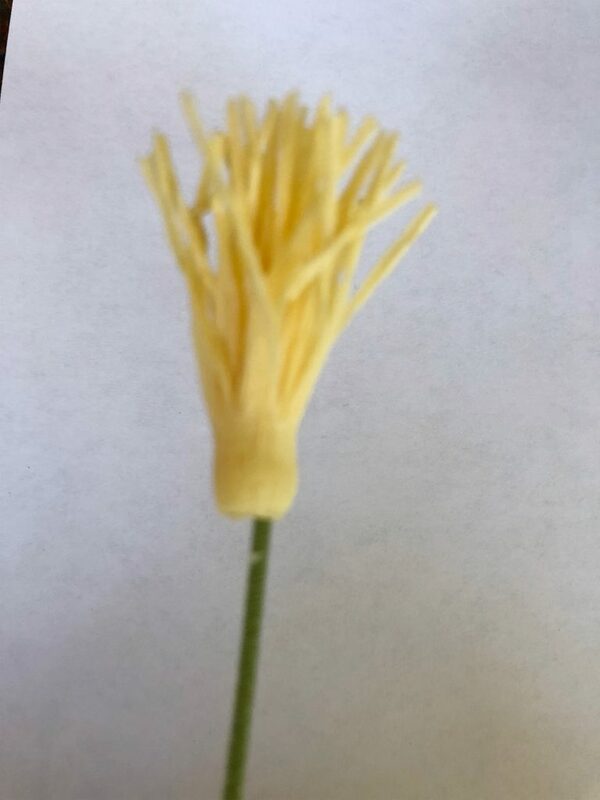 you need to “cup” the petals by slightly stretching the middle portion of each petal. 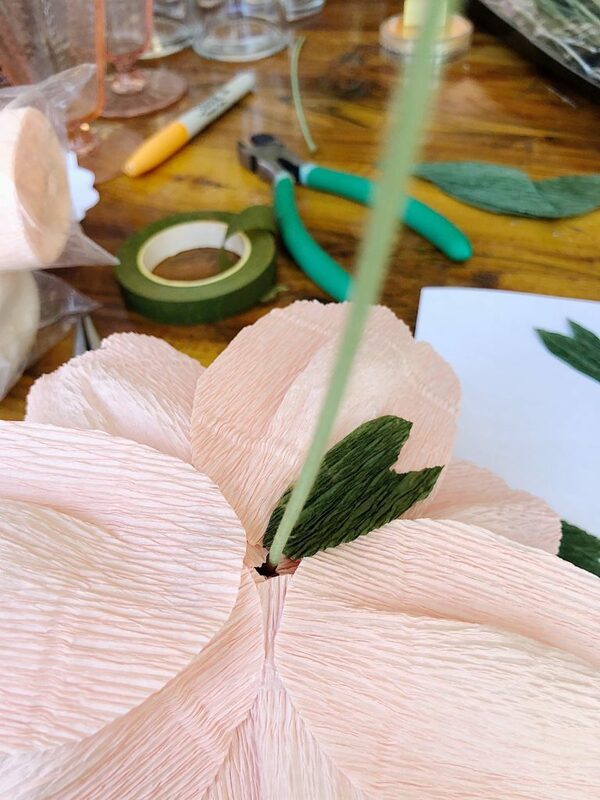 Hold the petal between your thumb and forefingers of both hands and carefully stretch the petal evenly in a curved shape. 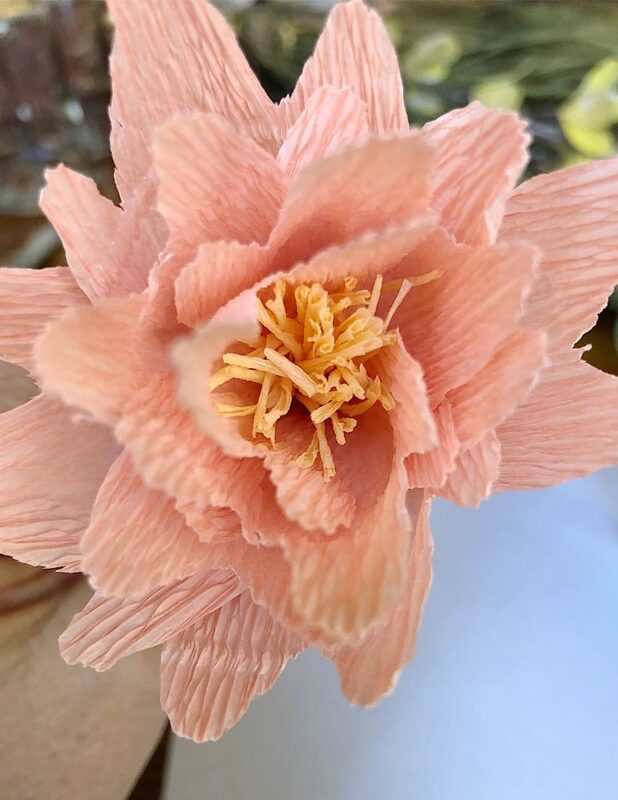 The petals should look like this. Stretch the leaves gently too. Place a small amount of glue along the bottom of each petal 4A and attach to the bottom of the wire with fringe, one at a time, alternating about half way between each petal. 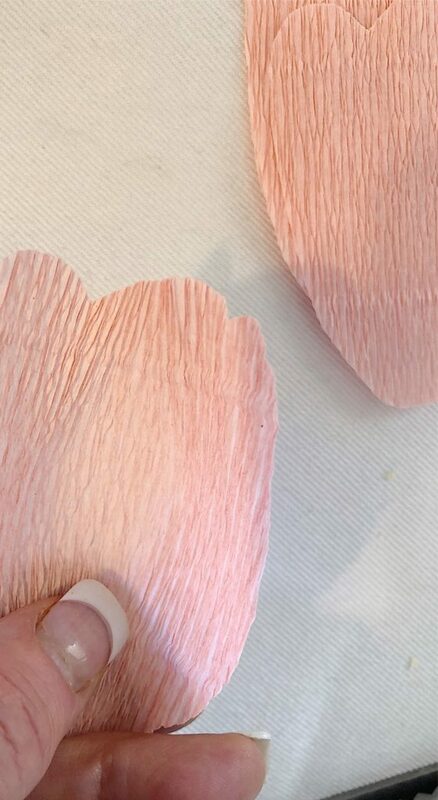 Use three for the first layer of petals, and three more for the second layer. Once all six petals are attached, the flower should look like this. 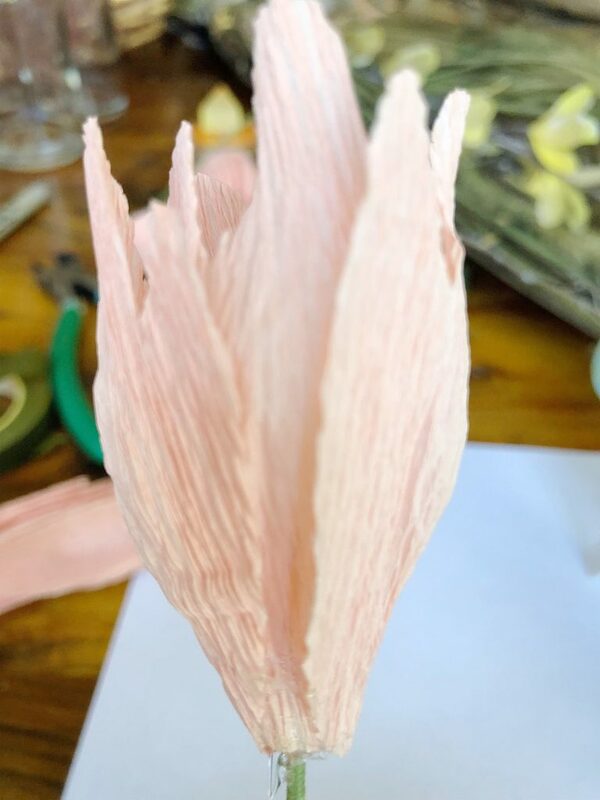 Next, use the ten petals 4D and glue around the flower. Continue until all ten petals are attached. Using the ten largest petals, 4E, continue adding the petals to the flower, adding them in between the petals from the last layer. 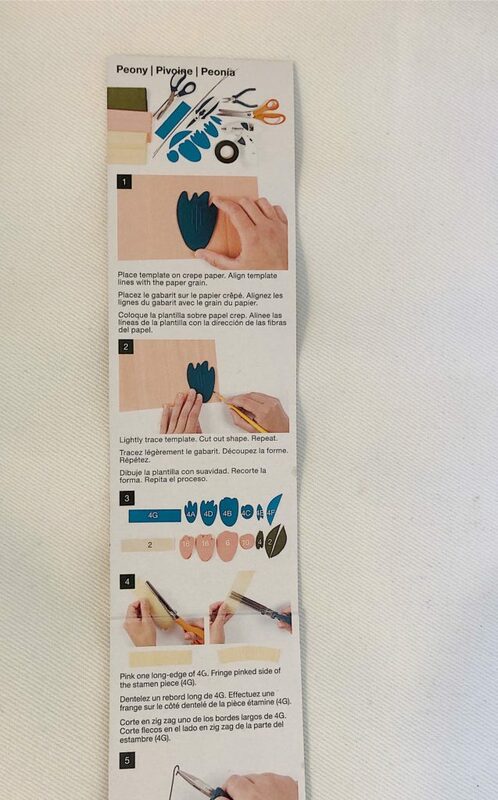 Follow the directions on the directions with the template to add the leaves and finish off the stem. I chose to put the paper flowers in the bottom right-hand corner. 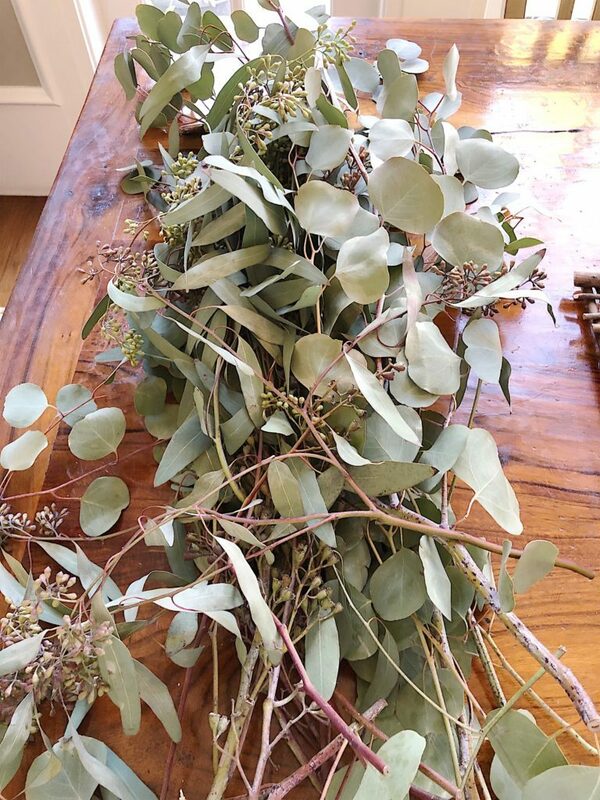 Start with the Eucalyptus leaves, and arrange on to the wreath. 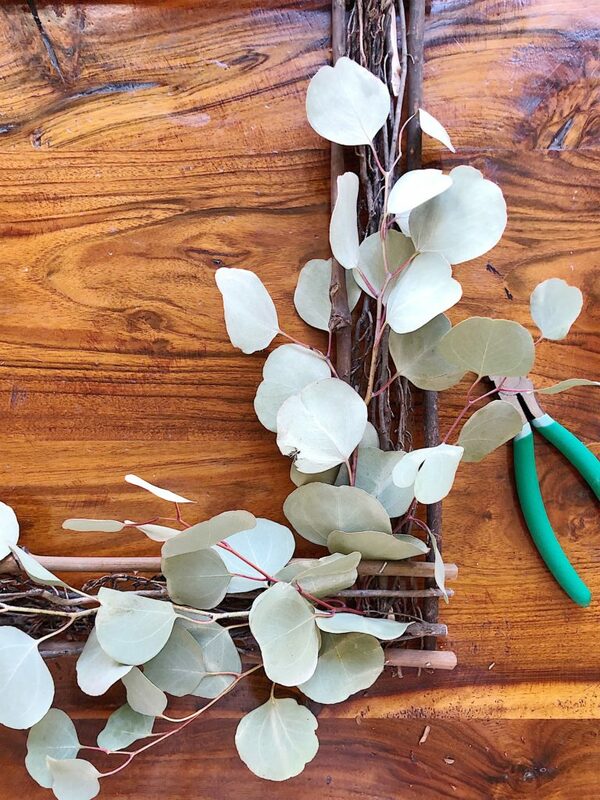 You can secure the leaves in the existing branches or use a hot glue gun. Continue along the right vertical and horizontal sides. Add the flowers to the bottom right side. 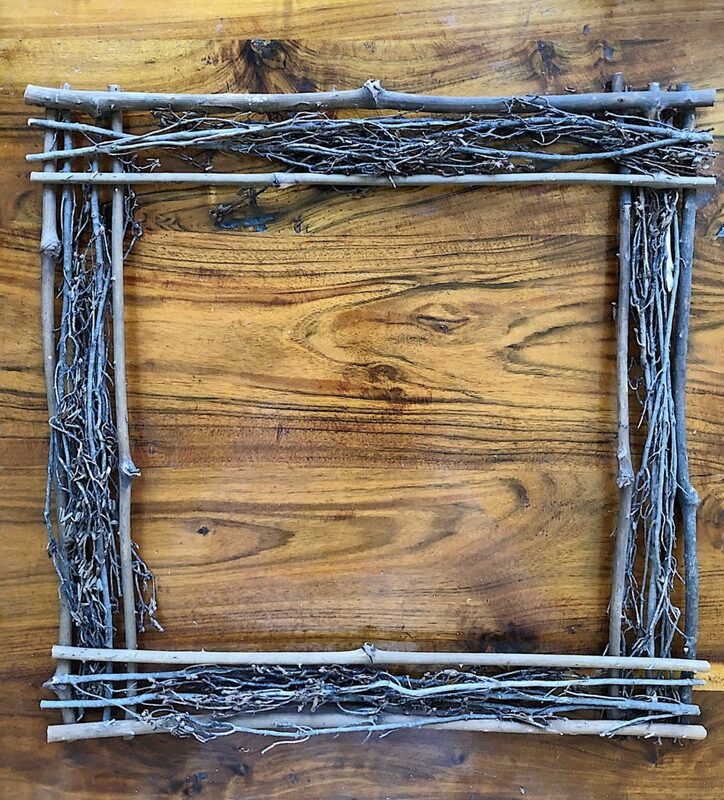 Add ribbon or twine to prove an option to hang the wreath. 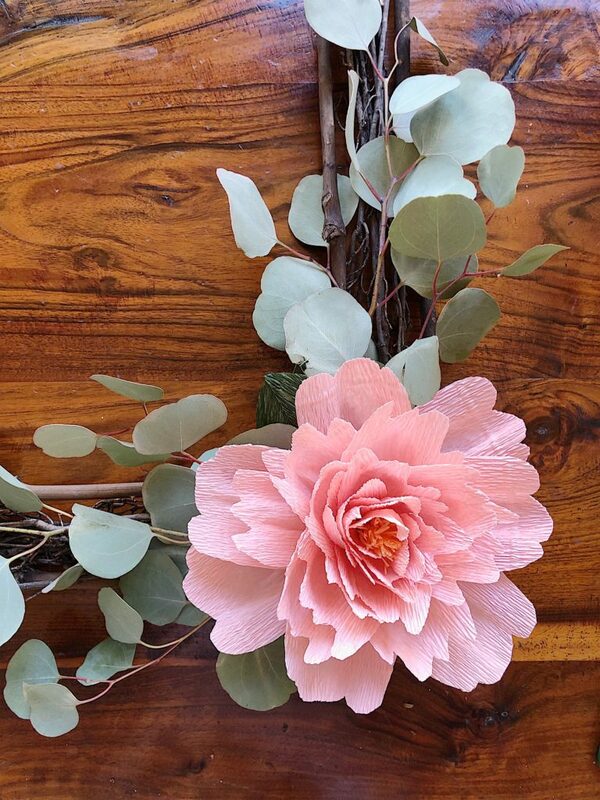 Pingback: Layered Spring Plaid Wreath + 27 more DIY Spring Wreaths! 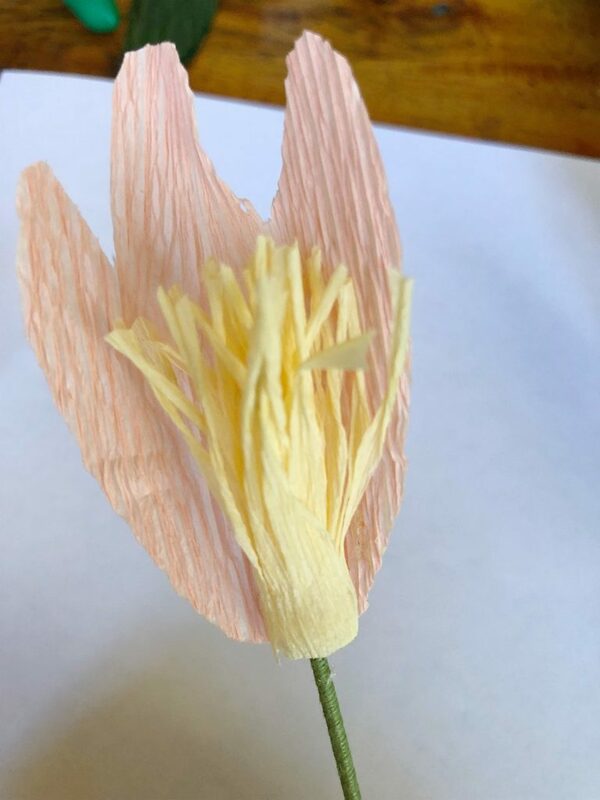 I love paper flowers so much and thank you for the tutorial. I know how tedious it is to put this kind of tutorial together. Thanks Lucy. It takes time but I am hoping everyone will see that these are not hard to make. I promise these flowers are not that hard to make! Gorgeous! Thank you for sharing, especially the tutorial on the flowers. They look so real. Awe. Thank you. 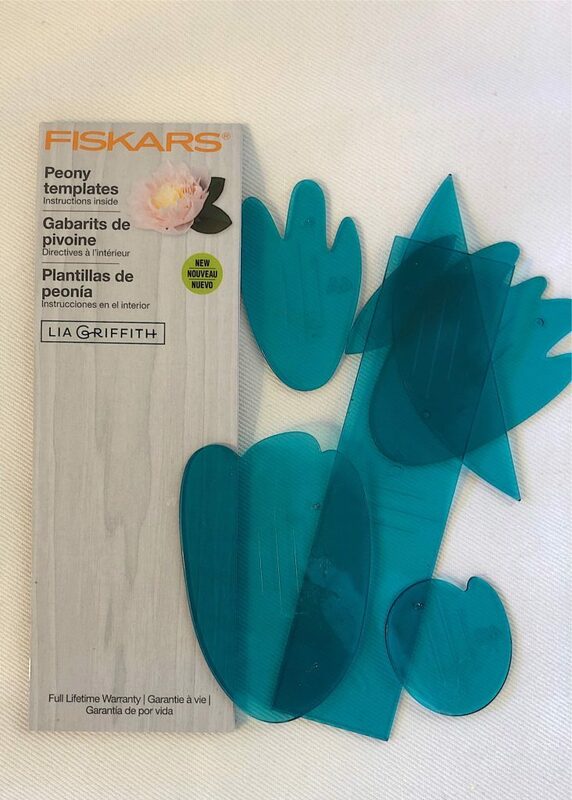 Are you going to make some flowers? What a pretty wreath. I LOVE those paper flowers. They look amazing!!! It’s so fun participating in this series with you! I’ve pinned your wreath to my favorite wreath board to share with others! 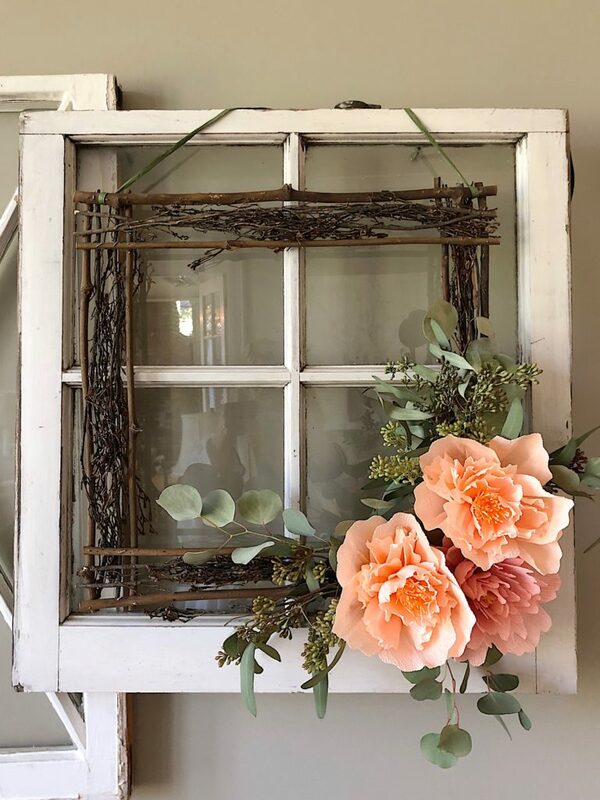 I love how you placed the wreath over the old window! And the flowers are gorgeous!